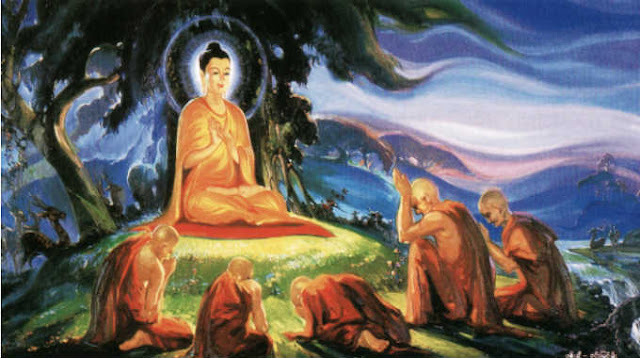 Gautama Buddha said that each person has 4 wives or husbands in their lives. “Once there was a man who had four wives. According to the social system and circumstances of ancient India, it was possible for a man to have several wives. The Indian had become ill and was about to die. At the end of his life, he felt very lonely and so asked the first wife to accompany him to the other world. Lying in his deathbed, he called his third wife, and asked her to follow him. The third wife replied, with tears in her eyes, ‘My dear, I pity you and I feel sad for myself. Therefore I shall accompany you to the graveyard. This is my last duty to you.’ The third wife thus also refused to follow him to death. Three wives had refused to follow him after his death. Now he recalled that there was another wife, his fourth wife, for whom he didn’t care very much. He had treated her like a slave and had always showed much displeasure with her. He now thought that if he asked her to follow him to death, she certainly would say no. But his loneliness and fear were so severe that he made the effort to ask her to accompany him to the other world. The fourth wife gladly accepted her husband’s request. The meaning of the story is what only the wisest of people can see. Once you understand its meaning you’ll see the integrated wisdom inside. The first ‘wife’ is our body. We love our body day and night. In the morning, we wash our face, put on clothing and shoes. We give food to our body. We take care of our body like the first wife in this story. But unfortunately, at the end of our life, the body, the first ‘wife’ cannot follow us to the next world. As it is stated in a commentary, ‘When the last breath leaves our body, the healthy color of the face is transformed, and we lose the appearance of radiant life. Our loved ones may gather around and lament, but to no avail. When such an event occurs, the body is sent into an open field and cremated, leaving only the white ashes.’ This is the destination of our body. Thus, we cannot depend on our physical body, our fortune, and our society. We are born alone and we die alone. No one will accompany us after our death.